In this page, you could find answers of some frequently asked questions regarding general Schengen visa rules, application process and detail requirement of documents. Please click on the questions you want to ask or type “Ctrl+F” and type in the key word of your questions, you will be suggested with relevant answers. If you still have other questions you can Contact us. 2.3. How to book an appointment on TLScontact Website? The Schengen Area is composed of 26 countries. At present, 22 European Union Member States enforce the Schengen Convention (Austria, Belgium, Czech Republic, Denmark, Estonia, Finland, France, Germany, Hungary, Italy, Greece, Latvia, Lithuania, Luxembourg, Malta, Netherlands, Poland, Portugal, Slovakia, Slovenia, Spain and Sweden). Switzerland, Norway, Liechtenstein and Iceland integrally enforce the Schengen Convention, but are not members of the European Union. The six other European Union Member States still outside the Schengen Area are the UK, Ireland, Cyprus, Bulgaria, Romania and Croatia. The EU Member State, Cyprus, is not yet a fully-fledged member of the Schengen Area. Border controls between Cyprus and the current members of the Schengen Area are to be maintained until the EU Council decides that the conditions for abolishing internal border controls have been met. However, Cyprus considers the Schengen visa, as well as residence permits from other EU Member States, as equivalent to its national visa for the purpose of a transit that does not exceed 5 days. The Principalities of Monaco, Andorra, San Marino and Holy See (Vatican City State) allow entry to their territories without any formality to Schengen visa holders. All Russian nationals must have a valid visa to enter the Schengen Area, regardless of the duration of their stay and of the travel document they have, except if they have a valid residence permit enabling them to stay in the Schengen Area. Citizens of some countries are exempt from the requirement to hold a valid visa to enter the Schengen Area for a short stay or transit, for details please check here. Effective from March 28th 2017, Georgian nationals are exempted from visa requirement for short stay visit (less than 90 days within a 180 day-period).The visa requirement exemption applies only to holders of biometric passports. However, if you are going to perform any paid activity (even if the occupation does not exceed 8 days within a calendar year), you still need to apply for a visa unless you hold a valid residence permit issued by a Schengen member state or a valid type D visa. For citizens of some countries, a Schengen visa (Type C) issued by one of the member countries is required when staying in the Schengen Area for up to 90 days. With a Schengen visa, you may enter one country and travel freely throughout the Schengen Area. Short stay visa allows the traveler, assuming all other conditions are met, to enter the territories of any Schengen country to pay a single continuous visit or multiple visits, the duration of which does not exceed 90 days in any 180 days period. A short stay (Schengen) visa can be issued for either single entry or multiple entries into the Schengen zone. Single entry visas allow the visa holder to enter and stay in the Schengen area continuously for the length of the visa duration, to a maximum of 90 days (e.g. : from July 1st to September 28th). Multiple entry visas allow several entries and stays in the Schengen Area, of which the total duration cannot exceed 90 days in any 180 days period. The stay can be continuous or divided into several periods within the length of your visa’s validity. A Schengen circulation visa is a special type of multi-entry visa that is generally valid from 1 to 5 years, decided by the Embassy or Consulate General. If you wish to stay longer than 90 days you will need a national long stay visa (Type D) or a residence permit. Any stay longer than 90 days falls under national jurisdiction and is not part of the Schengen Agreement. An airport transit visa is required depending upon the country of your citizenship and whether you have residence permits or visas of certain countries. The visa allows the travelers transiting the Schengen territory and who will not leave the transit area of the airport. Airport transit visa does not apply to Russian citizens. However, if the transit involves a change of airport, a regular transit visa is required. Please consult the European Union’s website of the Migration and Home Affairs to know if your country of citizenship requires an airport transit visa in order to transit through a Swiss airport. 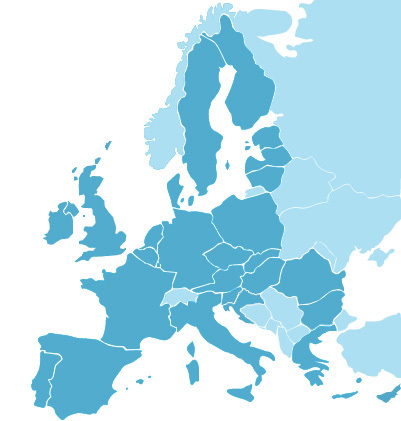 DURATION OF STAY………DAYS indicates the number of days you may stay in the Schengen area. The days should be counted from the date you enter the Schengen area (the entry stamp) to the date you exit the Schengen area (the exit stamp), i.e. both days included. Visa applications from non-residents, including Russian nationals, who are settled in another country, can only be processed if applicants prove that they have an urgent and unforeseen need to travel to Switzerland whilst visiting Russia and thus are unable to apply in their country of residence. Note: The TLScontact procedure is not compulsory. Applicants can apply at the Embassy of Switzerland to submit their applications with prior appointment. Please contact the Call Center to make an appointment. Without prior appointment, no application will be accepted by TLScontact nor the Embassy. Applications Processed Directly by Visa section of the Embassy of Switzerland in Moscow. People intending to visit Switzerland on an invitation from an International Organization (International organizations in Switzerland) may submit their documents without prior appointment any working day from 09:00 to 11:45 a.m. (Monday - Friday, except public holidays) at the visa section of the Embassy. What is the Schengen Information System? The Schengen Information System (SIS) is a highly efficient large-scale information system that supports external border control and law enforcement cooperation in the Schengen States. The SIS enables competent authorities, such as police and border guards, to enter and consult alerts on certain categories of wanted or missing persons and objects. An SIS alert not only contains information about a particular person or object but also clear instructions on what to do when the person or object has been found. Specialized national SIRENE Bureaux serve as single points of contact for any supplementary information exchange and coordination of activities related to SIS alerts. Further information on SIS is available here. Visa applications for Switzerland are now received by TLScontact, except for some categories that are still received by the Embassy of Switzerland in Russia directly, see Document and Visa Types. You are required to submit your visa application at the TLScontact Application Center or the Embassy nearby where you are currently living. If you intend to visit only one Schengen country, you must apply at the Embassy or Consulate of this country. If you intend to visit several Schengen countries, you must apply for a visa at the Embassy or Consulate of the country of your longest stay. If the visits in different Schengen countries are of equal length, the first destination shall be the determining factor. You may only submit your visa application within the 90 days period prior to the intended date of arrival in the Schengen Area. It is advisable to lodge an application at least 15 calendar days before the intended visit. However, it is also recommended that you lodge your visa application taking into account national holidays of the country of destination and Russia. Please note that during holidays the operation of certain consular services may be reduced. You can find more detail information on how to take an appointment on TLScontact Website here. The Visa Application Centre can also support applicants who wish assistance concerning the whole visa appointment process. Website registration, form filling, appointment booking are covered to make your visa journey easier. For more information, please Contact Us or ask our representatives at the Reception for assistance, when you arrive at the Visa Application Centre. 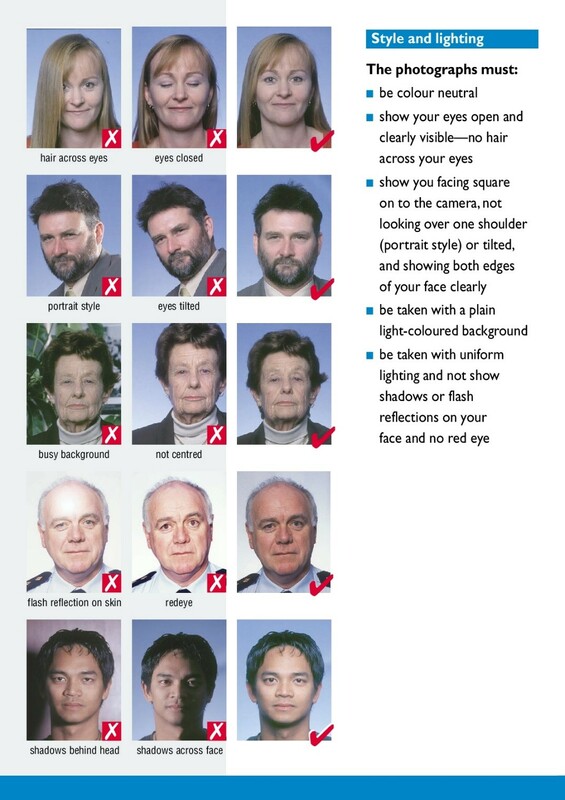 Personal appearance is mandatory for all visa applicants unless you are exempted from biometric data capturing. If you are exempted from biometric data capture, a representative can apply on your behalf. The representative must bring the authorization form duly filled and hand signed by the applicant. This authorization form has to be provided as an original. Copies or faxes are not accepted. Applicant’s passport must be signed by the applicant himself. In this regard, please also pay attention to the special regulations concerning applicants who are underage. Application checklist. The Schengen application form must be signed by the applicant himself. Applicant’s picture must fully comply with the strict regulations, for more information see here. Travel agencies accredited with the Embassy of Switzerland in Moscow may be commissioned with the deposit of visa applications. Please note that the applicants are fully responsible for the submission of genuine documents and visa applications which need to be signed in person! For business / official / study / cultural / sport visa applications: the representative needs to prove his employment with the company for whom he represents own employees. He/she has to provide an authorization letter. Evidence of representative’s employment must be a confirmation that the representative and the applicant are permanently employed in the same company/organization. This document must be on business paper, stamped and signed by a legal person. The period of validity is 6 months. He cannot represent any other applicants (family members, business partners, etc.). The representative has to provide a signed letter of authorization as well as the original and copy of his /her ID card (one copy for each set of documents). The representative cannot be a minor. Express Courier Return can be requested during the appointment in the Visa Acceptance Centre in order to receive the passport directly to a convenient chosen address once it is back from the Swiss Consulate Authority. The Consulate may request you to provide additional documents or to attend an interview according to your personal situation, even after you have submitted your application at TLScontact. If the minor needs to enroll his/her biometric data during the application, he/she has to come in person, see “Personal biometric data capture in the visa application center”. Please note that minors are not allowed to submit applications by themselves, they must be accompanied by a parent or legal guardian. In the eventuality that the representative is not the parent or the legal guardian of the minor, the representative must present an authorization letter signed by one of the parents or the legal guardian. For passports of underage applicants the following rules apply: for applicants under 14 years old the passport does not need to be signed, for applicants 14 years old and above the passport has to be only signed by the minor. It is not allowed for the parents or guardians to sign the underage applicant’s passport. If the parents or legal guardians sign the applicant’s passport, this passport cannot be used anymore to apply for a Schengen visa to Switzerland. Passports can be collected in TLScontact Visa Application Centers during the opening hours to the public. Once your passport is back from the Swiss Consulate Authority you will be notified online on your personal account page and by SMS. You may have your passport returned to you by express delivery service; it will be sent directly to your convenient chosen address. Please click here to check the service availability. Please kindly note that passports which have been returned by the Swiss Consular Authority to TLScontact and have not been collected from TLScontact within a period of 3 months from the moment of application submission will be returned to the Swiss Consular Authority. Provided your application is correct and complete, the average processing time for short-stay individual applications of Russian nationals traveling to Switzerland will take a minimum of three (3) working days. In addition, the time for transport from the Visa Application Centers to the Embassy and back to the centers, as well for direct appointments the submission day and the day of passport return needs to be taken into account. If the application is submitted in a visa application center of a city without Swiss consular presence due to the postal delivery of applications to the competent consular authority. If you have successfully provided your biometric data (10 fingerprint scan) for a Schengen visa application to a Schengen country within the previous 59 months, you can submit your complete application documents by post to the Visa Application Centre. If you have not provided your biometric data during a previous visa application process, we kindly advise you to submit your application personally in the Visa Application Centre. For more information on the postal application submission process, please kindly visit the following link. The Schengen visa application form (visa type A and C) will be provided to you during the registration process and can be filled online. The paper versions can also be downloaded here . Any person appearing in your travel document must complete a separate application form. The visa application form for a child under 18 must be signed by a parent or guardian. If you need support with the form or don’t have time to fill it, we have the Form Filling Assistance available in some Visa Acceptance Centre, our experienced visa application staff will support you. Please click here to check the service availability. Before applying for a visa you must make sure that your passport is valid. Check the expiration date on your passport. For a short stay visa (less than 90 days), the expiration date must be no earlier than 90 days after the date of your return from the Schengen area. Make sure your passport has two or more completely blank and unmarked visa pages. Make sure your passport has not been altered. Check if the original laminated film (the transparent safety film that covers the passport photo) has been tampered with. If this is the case, you must ask a passport-issuing authority to re-tamper proof your passport. Make sure no pages or surfaces have been laminated (as this will invalidate your passport). Check for scratching or alteration. If your passport was issued over 10 years ago, even if it is still valid at the time you submit your visa application, you must apply for a new passport from the authorities or the Embassy or Consulate of your country of origin, before being able to apply for a visa. It is advised that you do not apply for a visa on a passport issued for multiple persons (e.g. parent and children together). 1. Color photo on a white background. 2. Format 3.5 cm x 4.5 cm. 4. Recent (less than 6 months old). 5. With the mouth closed. 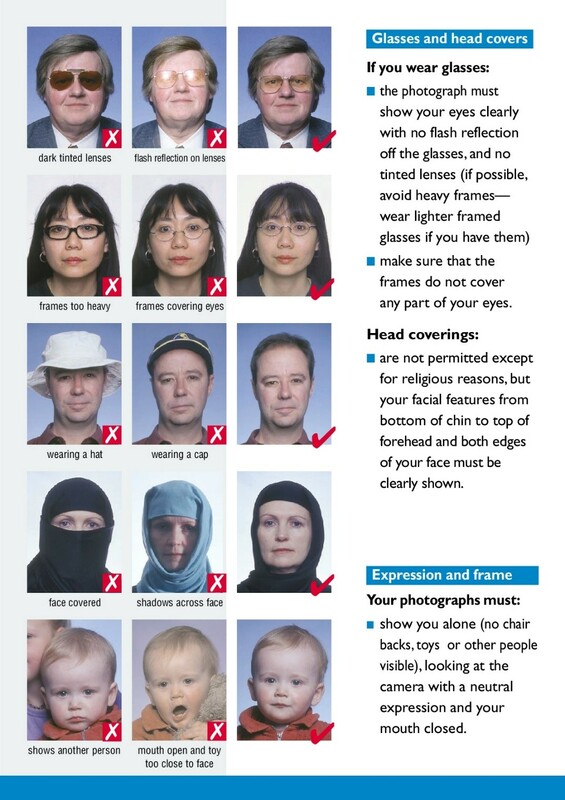 In the eventuality that you need to provide a recent compliant photograph to complete your application, a self-service photo booth is at your disposal inside the Visa Application Centre. For more information, please click here. 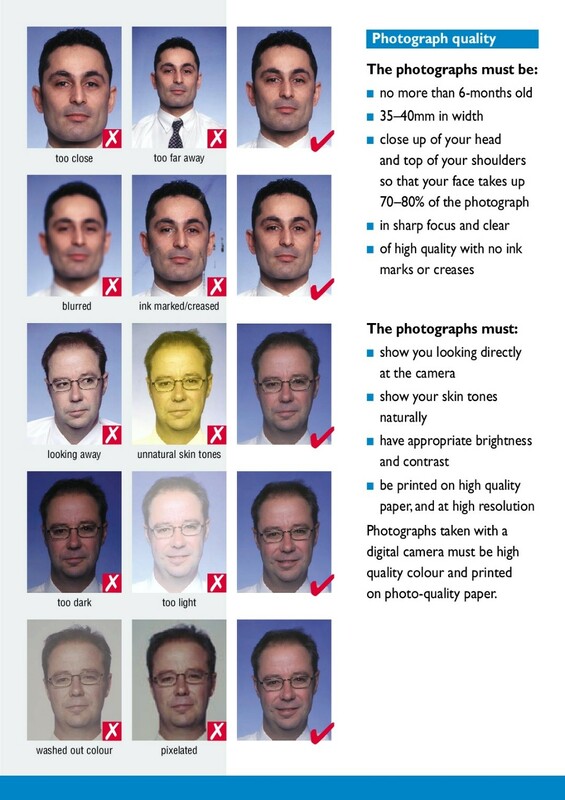 The table below shows examples of non-compliant photos “✗,” and the correct equivalent “✓”, according to Schengen requirements. The examples above come from IACO (International Civil Aviation Organization) recommendations regarding machine readable travel documents (document IACO 9303). Due to a regulation of the European Union (Decision 2004/17/CE of December 22nd 2003), there is a requirement to hold travel insurance, which is a compulsory document. Your travel insurance must be valid with a minimum coverage of € 30,000 in order to face any expenses that may arise in connection with your repatriation for medical reasons, urgent medical attention, or emergency hospital treatment. The travel insurance should fully cover the period of your stay in the Schengen Area. Bank statements are supporting documents for a visa application. The bank statement should be provided by a bank. Statements from all types of banks for all accounts (except credit card accounts) are accepted. Bank statements should be provided in A4 format. The bank statement requires a stamp from the bank. The bank statement should cover the full account history for the last 3 months or confirm the balance of the account to meet the minimum requirements of the consulate. The applicant can provide extra documents to prove additional financial resources, for instance stock or fund accounts. Please note: a bank statement is not the original bank certificate of deposit. Bank statements must show the exact dates for depositing and withdrawing money. The name of the applicant must clearly appear on the bank statement. The name of the applicant should be printed by the bank — if it is handwritten by the applicant, it does not meet the general requirements. Students who want to provide bank statements from the person they are financially dependent on should make sure that the name of the account owner is printed on the document. Each person must have at least CHF 100.00 for every day of stay at his/her disposal (or the equivalent amount in another currency). For children and students the value amounts to about CHF 30.00 (or the equivalent amount in another currency). You have to provide an invitation letter if you apply for a short stay visa and a friend or a relative will host you in their apartment or house. Invitation letter should be provided in German, French, Italian or English language. The letter shall be signed by the inviting person(s) and sent to the applicant. In case of an invitation issued by a married couple, the signature of both partners is required. If the applicant has no or insufficient financial means, the Visa Section might provide him/her with the “Declaration of commitment”, after having evaluated his/her visa application. This “Declaration of commitment” must be sent by the applicant to the inviting person (host) in Switzerland. The inviting person/host will have to complete the declaration and submit it to the competent Swiss cantonal authorities. In the case of a “Declaration of commitment” the visa-procedure takes several weeks. Applicants are therefore advised to submit their visa application well in advance. Please take note that the Visa Section reserves the right to request a declaration of commitment in any case. All applicants have to provide their biometric information when applying for a visa. This includes a digital finger scan of 10 fingerprints and a photograph. The finger scan procedure uses an electronic scanner. In order to ensure acceptable finger scans, please make sure that your fingertips are free from any form of decoration or cuts. Applicants who are applying for a new Schengen visa within 59 months from the moment of the last fingerprint data capture and have already submitted their biometric data during a past Schengen visa application. Applicants in this case will have to provide the visa sticker number and a photocopy of the previous visa. However, the local consular authority may request you to submit the biometric data again. Further information on VIS is available on the website of the European Commission. All Schengen visa applications - independent of the place of issue - are stored in the Visa Information System (VIS) database. Refused applications are stored as well in VIS. In the application form under field no. 27 you are asked whether you have provided fingerprint scans during a previous visa application process. If you affirm question under the field 27, please always attach a copy of your previous Schengen visa sticker. The consular authority will copy your fingerprint scans for your follow-up application from the central VIS database. However, if the copy of your fingerprint scans is technically not possible, you might be required by the consular authority to submit the biometric data again. 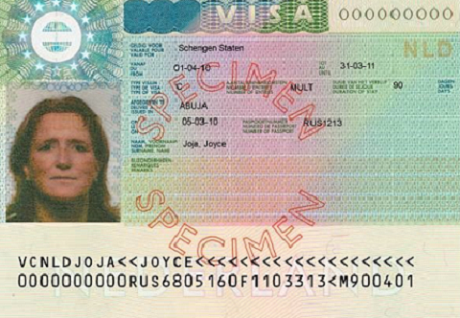 VIS is a system for the exchange of visa-data between Schengen countries. If fingerprints have been previously provided for a visa application to the US or UK, the fingerprints cannot be used for the Schengen-Visa application. Fingerprints that have been provided for a national visa can also not be transferred because of different databases.